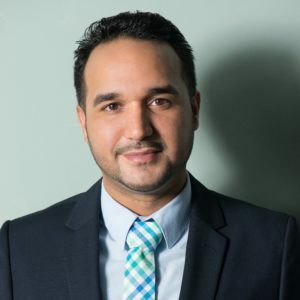 Adrian Rosado is passionate about building leaders of all ages and giving organizations the foundation to create strong, effective teams in any environment. He is a successful business owner, real estate investor and creator of a program that has impacted universities all over America. He has also provided professional development and inter-generational communication training and curriculum development for large corporations, and has keynoted cultural communication workshops internationally. He holds a Bachelor’s Degree in Political Science and Pre-Law as well as a Master’s in Business Administration from Eastern Illinois University. It was there that Adrian served as a graduate assistant and developed leadership training programs for major student organizations. Through his position, he saw a growth in minority student involvement on campus and it inspired him to start his business, The Zion Group. He is currently serving as the Chair of the Business Leadership Council for the National Latino Education Institute in Chicago as well as the Hispanic Advisory Council for the Illinois State Treasurer’s Office and Co-Chair of Planning & Development for the Indiana TRIO Association. As a passion, Adrian has been to over 25 countries throughout North America, South America, Central America, Asia and Europe – Visiting 5 of the 7 “New Wonders of the World”. The Zion Group is a professional strategy & instructional design firm committed to providing high-level leadership and diversity training, team building, and professional development to corporations and educational institutions. One of the signature programs, “TheMillennial.Be,” services universities across the US in their need to address proper leadership education with both students and their administration. The program’s interactive, thought-provoking, and collaborative workshops have reached over 8,500 students and directors at over 90 universities in the United States and China in the last 7 years. In 2017, The Zion Group was presented government contracts with the United States Army and Bureau of Land Management to place students into high-level, civilian internships in STEM & Business at bases around the U.S. – Thus, creating a pipeline of student leadership training to a paid internship with the federal government. In 2018, The Zion Group led their inaugural cohort of 20 first-generation college students and directors on a cultural clarity immersion tour throughout Northern and Southern China as part of its latest endeavors, The Cultural Clarity Experience & Northern Latitude 30.